We’re in the swing of autumn although, the weather thinks it’s spring. One day it’s freezing and you’re all wrapped up in scarves and thick coats. Next moment, it’s light jackets and bare legs which makes it challenging to know how to dress. However, what’s not a challenge is knowing autumn scents which as I’ve spoken about before, here, is powerful. I was introduced to this at the Blogosphere Summer party and was surprised by how much I liked it. So….? Fragrance* introduced me to Dark Romance. This fragrance is great for both autumn and winter because it ticks all the boxes; fruity, spicy with hints of sandalwood. You might know So…? Fragrance for their body mists for your teenagers or, whilst you were a teenager but this Dark Romance collection is for grown ups. If you’re looking for a new scent for autumn this ladies is one to add to your collection. You won’t be disappointed! When you think of scents of autumn you think of rich spicy scents like pumpkin spice, cinnamon, apples and other warm scents like that. One autumn scent I hadn’t thought of is pomegranate. The White Company has a pomegranate collection which includes this candle. It’s a balance of being light, fruity and warm which is perfect for the changing autumnal season. 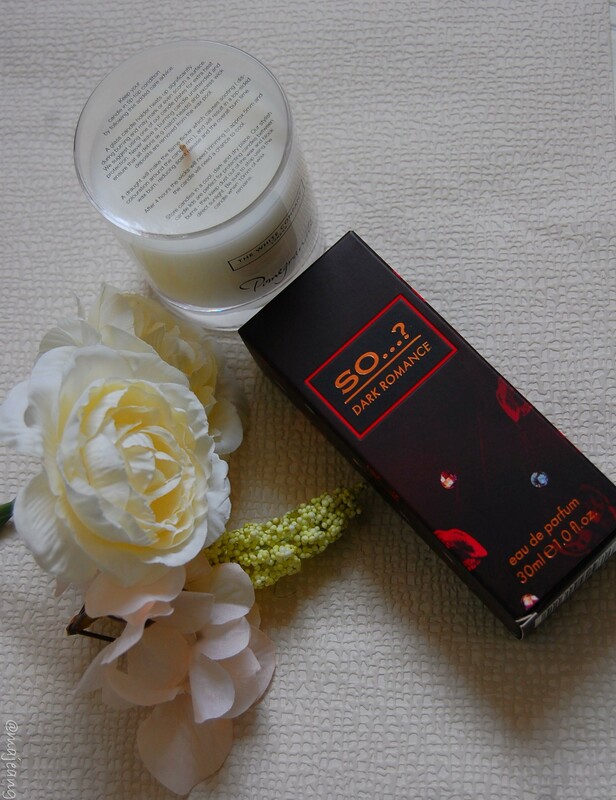 Burning this candle whilst sitting on your sofa curled up with a good book or Netflix! Have you tried any of these autumn scents before? What’s your favourite autumn scents? Let me know in the comments below. As always, thank you for reading and don’t forget to subscribe. Tuesdays are lifestyle/beauty related posts. If you have a case of wanderlust, I’ve got you covered on Thursdays. Finally, my fashion giraffes we will talk on Saturday.